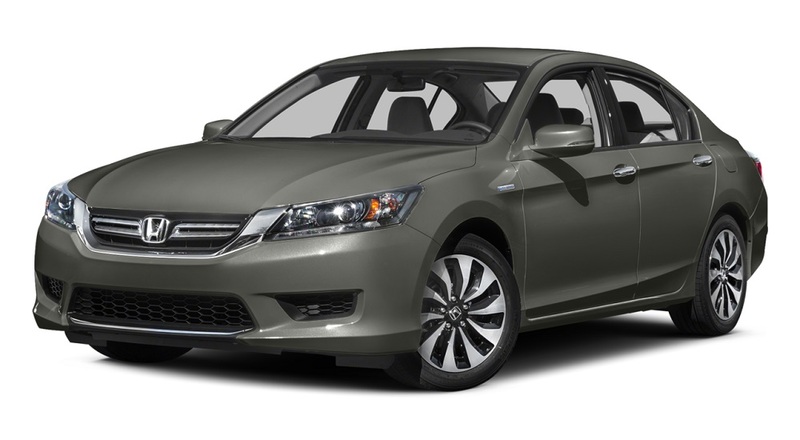 Honda was one of the leaders when hybrid cars first hit the American market, and the all-star 2015 Honda Accord Hybrid mid-size sedan shows that this is an automaker that continues to push the car world forward. The latest in tech features complement the 2015 Accord Hybrid’s 50-mpg city fuel economy* to deliver one of the most versatile and family-friendly cars on the road. And with three different trim levels, offering a wide range of customizability and luxury, there’s an Accord Hybrid for nearly any driver. The myth of a slow, sluggish, or boring hybrid is just that: a myth. The 2015 Honda Accord Hybrid is as powerful as it is fuel efficient, as fun to drive as it is to fill up at the pump, and as stylish as it is aerodynamic. 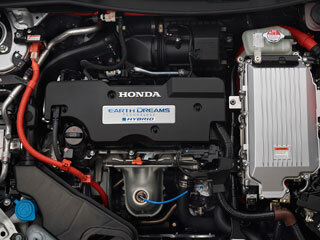 Thanks to Honda’s Earth Dreams technology and unique Electronic Continuously Variable Transmission, the Accord Hybrid has an engine that refuses to compromise on power or fuel efficiency, giving you both at the same time. While many competing hybrids attempt to use a traditional transmission for their engines, Honda wanted to optimize their transmission for the hybrid engine, and the Electronic Continuously Variable Transmission (E-CVT) does just that, accounting for the remarkable fuel efficiency of the Accord while delivering seamless shifting thanks to its variable gear ratios. There’s more to efficient driving than having the right engine and the right transmission. Honda has coaching bars on either side of your speedometer that change from blue to green as you drive more efficiently. 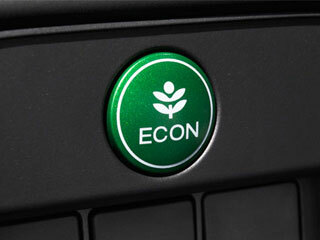 And if you want to maximize your fuel economy, just give the green ECON button a push to let the engine know you want it to make sure you get the most out of each drop of fuel. Sometimes you need more power, especially if you’re in a hurry, but other times you may want to conserve fuel as much as possible. Honda gives you the choice by offering three different ways to drive your Accord Hybrid: EV, Hybrid Drive, and Engine Drive. 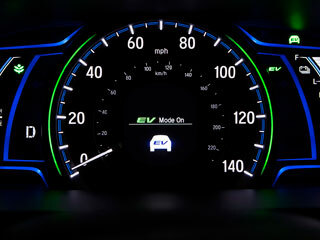 EV is electric-only driving, Hybrid Drive gives you efficiency and power, and Engine Drive focuses on power. Unlike other computer-controlled shifting, Grade Logic Control sets itself apart by detecting different driving situations and adjusting the Accord Hybrid’s shift points for maximum efficiency. The end result is a smarter transmission that avoids gear hunting while climbing and descending, downshifting on its own when you need engine braking to slow down. The Accord Hybrid is more than just good looks; its curves and underbody panels are all optimized for aerodynamics, letting your sedan cut through the air with minimal resistance. 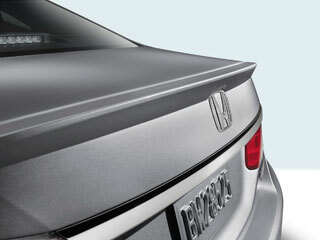 The decklid spoiler on the rear gives this Accord a subtle yet definitive exclamation point on its tail end, providing just a bit of flair to the sedan’s conservative styling. Honda’s reputation for safety is as well-known as the reputation for fuel efficiency that led to the Accord Hybrid, and the latest in technology will help keep you and your family safe in this Accord. 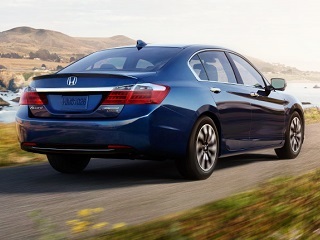 With features like these, it’s no wonder the 2015 Accord Hybrid earned a Five-Star Overall Safety Award from the NHTSA. 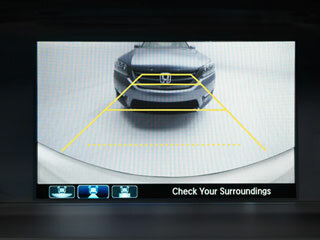 Standard on all Accord Hybrid models, the rearview camera system gives you an unobstructed view of what’s behind you before backing up, complete with guidelines to give you an idea of how much space you have available. Handy in a tight garage or when parallel parking, the camera helps prevent accidentally backing into objects or vehicles. 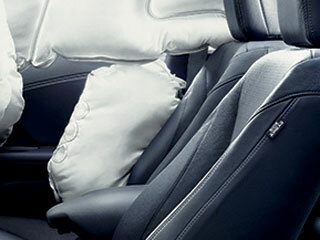 During a severe side impact collision, these airbags are designed to deploy immediately to protect the driver and front passenger’s upper bodies. In the event that either occupant is in the way of the airbags when they deploy, these models are designed to vent air immediately and cushion occupants rather than risk injury from deployment. 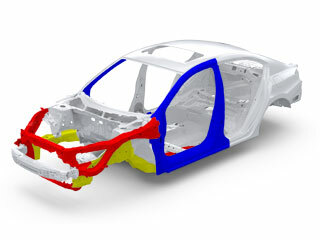 While some vehicles are built with “crumple zones,” Honda goes further with their Advanced Compatibility Engineering (ACE) body structure. The ACE frame is a Honda-exclusive design that distributes crash energy more evenly throughout the front of the Accord Hybrid, helping to reduce the amount of force that each passenger experiences in a collision. 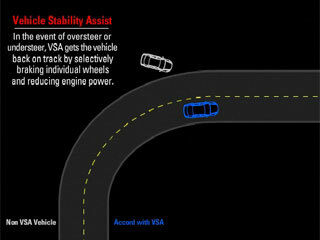 Standard on all Accord models, Vehicle Stability Assist (VSA) helps you stay in control of your car during understeer or oversteer conditions, reducing overall engine power and even braking individual wheels to help you stay on your vehicle’s intended course. It’s not a substitute for attentive driving, but it is an asset on slick or uneven pavement. This available safety feature takes advantage of a small camera mounded between the rearview mirror and the windshield that is able to detect the pavement markings and notice if you are drifting. 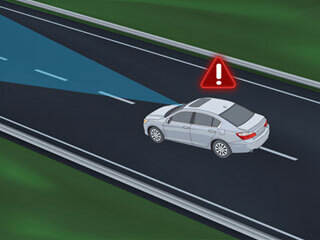 Audio and visual alerts warn the driver if the Lane Departure Warning system detects you leaving your current lane. 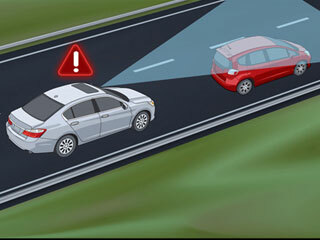 Forward Collision Warning is available on select Accord Hybrid models and uses either a small camera at the top of the front windshield or a radar system to detect how close you are to other vehicles. 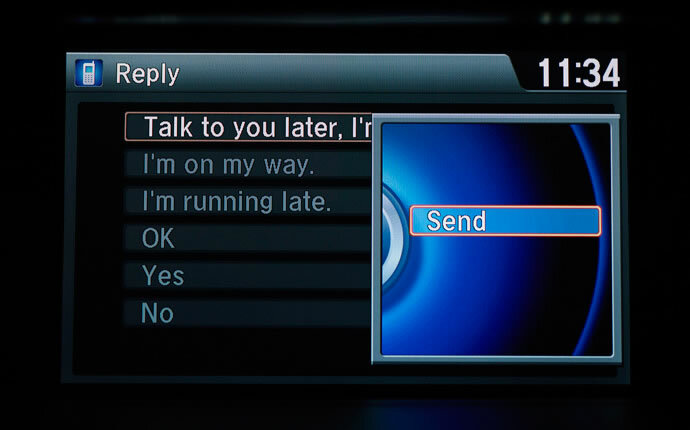 If the system detects that you are about to collide with another vehicle, it sends audio and visual alerts immediately. Unlike many competing hybrids and hybrid cars of the past, the 2015 Honda Accord Hybrid’s interior is spacious and has plenty of room for up to five passengers thanks to recent innovations that have greatly decreased the size of the hybrid battery pack powering the engine. Much like what’s under the hood, the cabin of the Accord Hybrid is state-of-the-art, featuring some of the latest in high-tech amenities as well as available comfort features like a leather-trimmed interior and heated front seating. 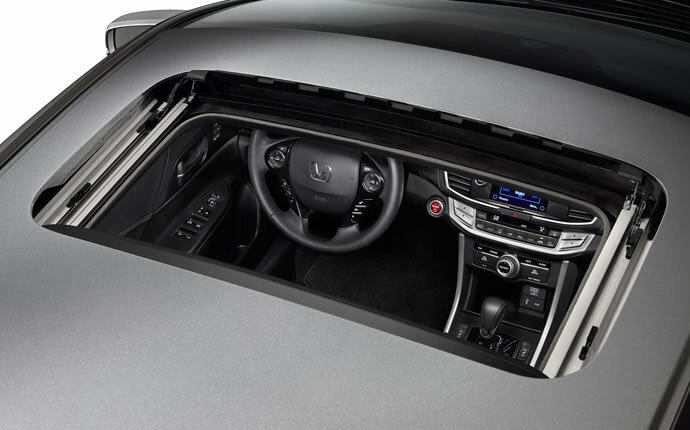 With just the push of a button, you have direct access to fresh air and sunlight thanks to the Accord Hybrid’s one-touch power moonroof. This available feature has a tilt setting as well as a convenient sunshade to block out the rays and still let all the fresh air in. Connect your iPod, iPad, or other MP3 player up to the built-in infotainment system to stream music directly from your device and listen to your favorite songs and albums. The Accord Hybrid’s music interface lets you control the action with convenient steering wheel-mounted buttons to skip tracks or turn up the volume when you need everyone to hear your favorite song. Honda has combined telematics and infotainment into one with their HondaLink Next Generation system, syncing up your Accord Hybrid with your smartphone. 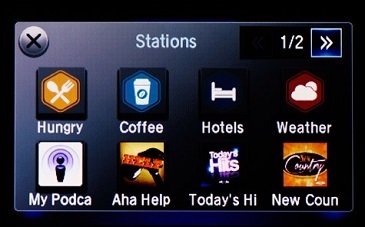 This Aha-based interface uses familiar apps to connect you to social media, points of interest, and your favorite online radio stations and podcasts. Personalized searches and information make HondaLink feel like your own private concierge. Honda’s intelligent Multi-Information Display (i-MID) syncs together virtually all of your in-vehicle technology in one convenient 8-inch touchscreen. 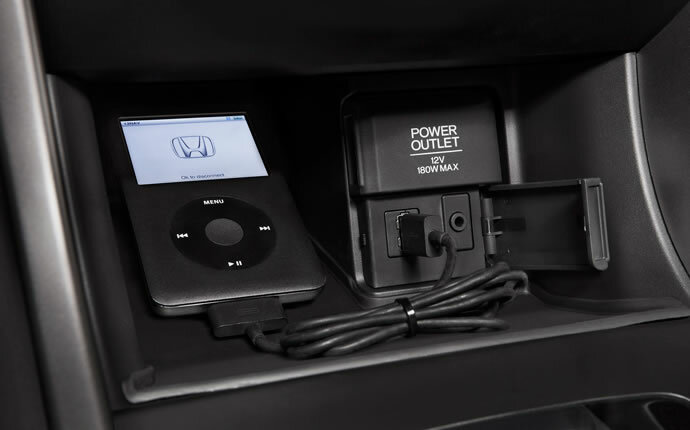 You can even view the music from your USB Audio Interface or Pandora internet radio, and when you are parked, the i-MID can display and allow you to respond to text messages. More than just a navigation system, this available feature brings voice controls to your Accord Hybrid, letting you simply tell it where you want to go without ever having to take your hands from the wheel. 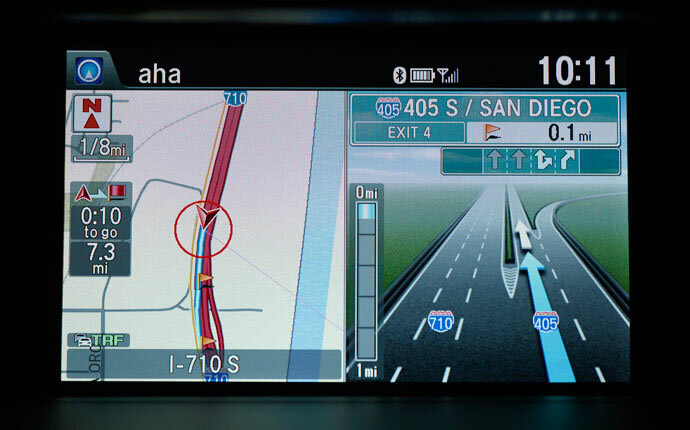 To make sure you get where you’re headed on time, the navigation system can even route you around traffic and construction. Honda aims to make owning and driving your car convenient, and that starts with a red button on the dash. The Accord Hybrid can tell when your keys are near and lets you start up the car with just the push of a button. Like everything else about the Accord Hybrid, it really is that simple. While the three different trim levels have something for everyone, sometimes you need to personalize your vehicle for your specific needs. 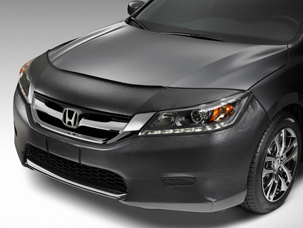 The available 2015 Honda Accord Hybrid accessories let you add a personal touch to your vehicle and add on features that you may want or need for day-to-day driving. While the nose mask is particularly useful for drivers who spend a lot of time on the highway, any Accord Hybrid can benefit from the protection it provides. Cut down on the dings and dents on your front end and give your sedan a bit more of an aggressive look with a protective nose mask. 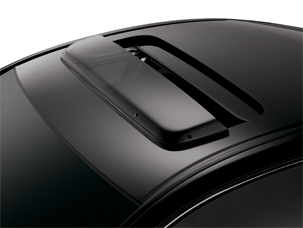 If you find yourself wishing for a bit less of the sun and wind noise when you open up your one-touch power moonroof, this visor should do the trick. Made of tinted acrylic, this accessory is built to last and features an aerodynamic design that lets air easily circulate through your cabin. 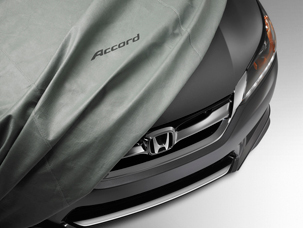 Even if you store your car in a garage, it can be smart to have a car cover to protect from accidental spills and keep the dust off of your Accord. And if you park outside, this breathable, water-resistant fabric helps protect your sedan’s finish from the sun and rain as well as birds, frost, hail, tree sap, and pollution. 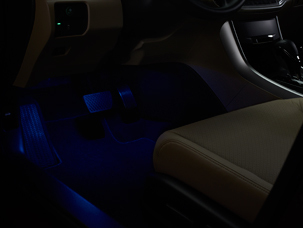 Designed to integrate with your interior lighting as well as being adjustable with its own on/off switch, these LED lights offer a soft blue glow that can bring a new level of class to your Accord while also helping illuminate your foot wells in the event that you should drop anything. 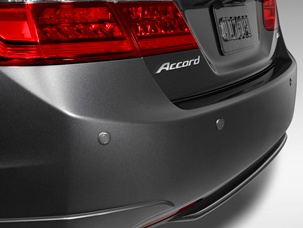 If you want added peace of mind beyond your rearview camera system, the Accord Hybrid’s available body-colored backup sensors can detect when you are nearing a vehicle or object and alert you as you get closer to it. 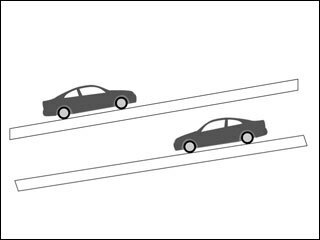 Helpful in both parallel parking and fitting into a short garage, back-up sensors can be essential for city drivers. If you have ever hauled anything in your trunk before, you’ve also probably spilled something in your trunk before. If not that, then perhaps you’ve had something heavy damage your trunk lining. 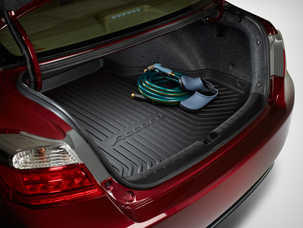 Honda’s molded plastic trunk tray protects the lining of your trunk and is easy to clean up if anything does spill. *50 city/45 highway/47 combined mpg rating. Based on 2015 EPA mileage ratings. Your mileage will vary depending on driving conditions, how you drive and maintain your vehicle, battery-package/condition, and other factors.